If you’re anything like my husband and me, you are already booking up your weekend with projects and perhaps even picking up some materials on your way home from work. Here’s a quick and easy DIY for your kitchen that will give you lots of satisfaction and good bang for buck. 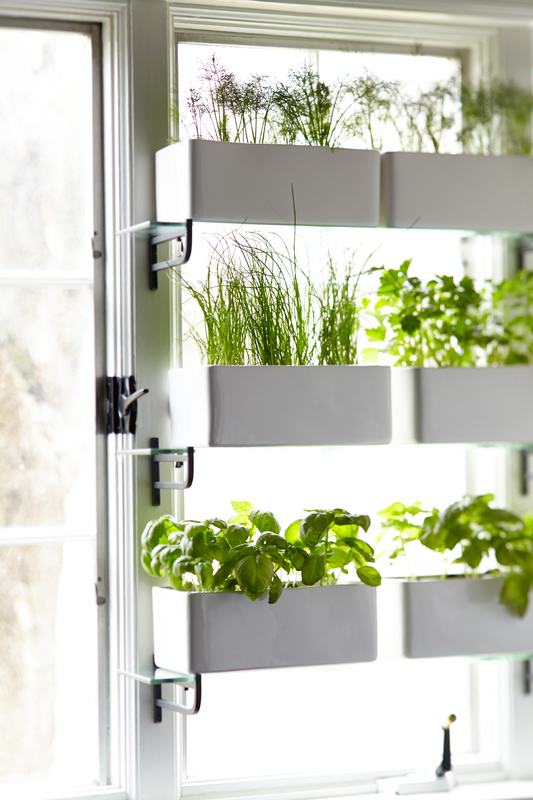 We wanted fresh herbs on hand for all our cooking but don’t like the look of an over-crowded window sill nor did we want to install one of those greenhouse windows because—while luscious from the inside—they look completely tragic from the outside. So I came up with this simple solution—glass bathroom shelves with rectangular planters—and my husband sourced the below materials for a chic, minimalist, and bountiful kitchen herb garden. Would be a wonderful way to bring greenery (and a little privacy) to a bath or bedroom window as well…they don’t need to be herbs! Have a wonderful weekend and happy projecting! Glass shelves are 23 5/8″ wide HJÄLMAREN from IKEA and were $18/ea. The 10x4x5″ ceramic containers we used were similar to this one, $7/ea. 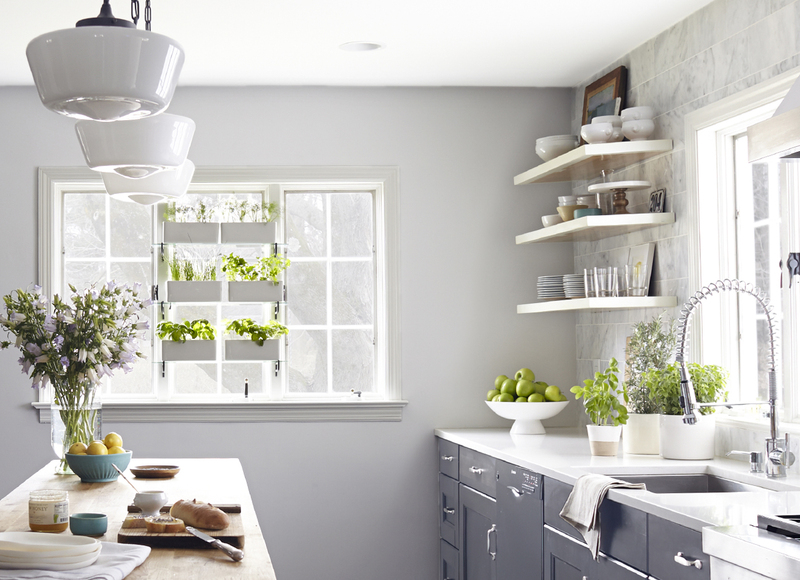 This entry was posted in DIY, ENTERTAINING, FLAVOR, MY PROJECTS and tagged DIY, easy, fresh, glass bathroom shelf, greenhouse window, herb garden, herbs, kitchen herbs, Meredith McBride Kipp, weekend projects by meredith. Bookmark the permalink.